Several months have passed since posting any thoughts. I may have subconsciously wanted to give it a break and see if I would miss it. Or perhaps, I wanted to be sure of all of my motives. 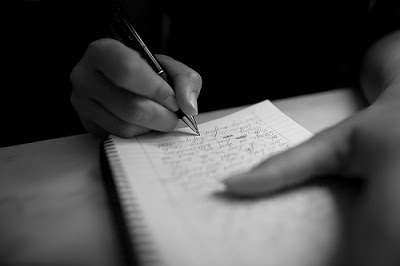 With finals done, a lull in my work schedule, and the rain keeping me indoors, I´ve felt nudged by a still, small voice to make writing a priority again. I have been reminded of how much writing means to me. Writing brings greater introspection and awareness. Writing gives clarity, perhaps because the letters are arranged at regular intervals on a white page and neatly lined up in rows. The written words are, much like photographs, my souvenirs of having lived. And so, I write. I want to write about Him—the tireless Writer. For when everyone gives up, He writes. When the present with its joys and troubles is all we can see, He writes eternal thoughts. When we think surely He has abandoned us, He still writes in a quiet corner. When in our weakness we are swept away by enemy floods, He wages war with His pen and rescues us. His intent is simple, almost childish. His hands hold a writing tablet and He etches, a millimeter at a time, all things beautiful. But four letters take precedence. An L, an O…and with painstaking precision a V and an E. Over and over, He carefully seeks another empty surface on the same tablet and begins again. He will not stop until it is perfect, until every space and corner is filled with His Love. He who has begun this good work will surely complete it. And this is my hope. For when I am not faithful, I am called back and still God writes.